Also in this episode: Brandon Fraser of APN Alarm Company, and Keoni Ford to talk about a non profit organization. We have tips of the week, Quotes of the day, this week's Open houses and Coming soon listings. 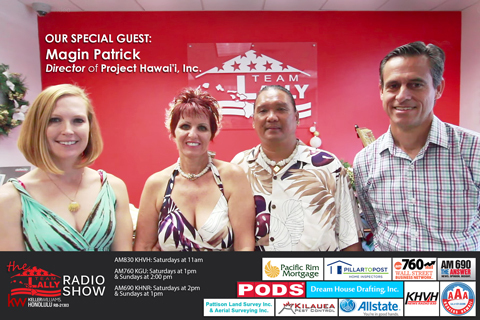 Magin Patrick, the Director of Project Hawai'i, Inc. formerly known as the Christmas Wish Program. Along with co-founder Cliff Kama and their volunteers, Magin works throughout the year to provide life changing opportunities to the children living in extreme poverty situations. Providing interactive solutions that help the children to grow and break the cycle of homelessness within their own lives is one of their major goals.